The new Aliya Resort & Spa in Sigiriya is located in the ‘dry zone’ that encircles most of Sri Lanka. The resort, which opened early this year, celebrates the Sri Lankan elephant (Aliya means ‘elephant’ in Sinhalese). 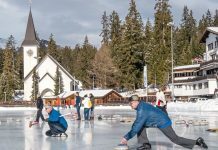 With its emphasis on local culture and traditions, Aliya is bringing something new to hotel stays in the Cultural Triangle. An enormous mural by Paris-based street artist Da Cruz acknowledges the dilemma faced by humans and wildlife competing for the same ground, the same natural resources. In the lower left of the wall painting, a sign warns of an electrified fence. 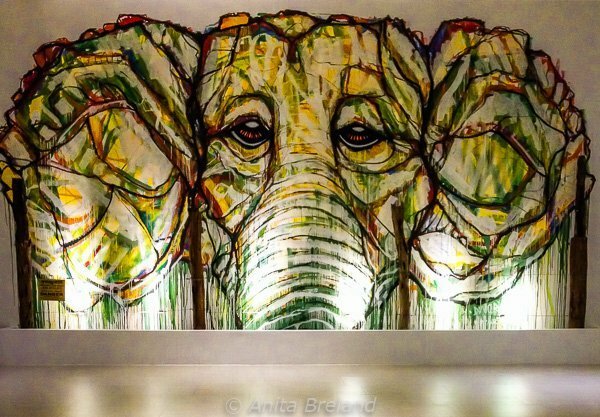 On a facing wall, a work by a Sri Lankan artist–a happy elephant family–presents the desired outcome of humans and wildlife living in harmony. 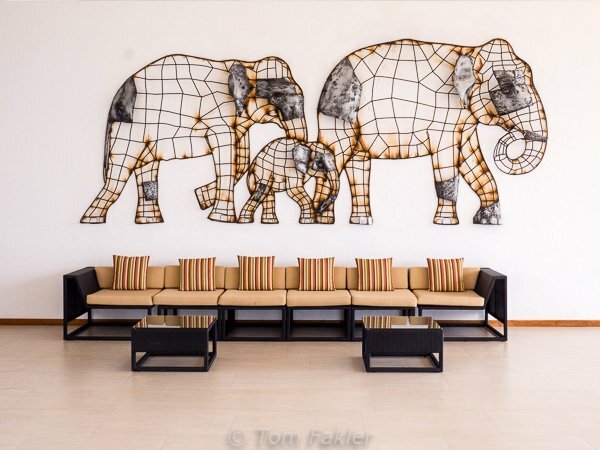 On one wall of the reception hall at Aliya Resort & Spa, an ‘elephant family’. 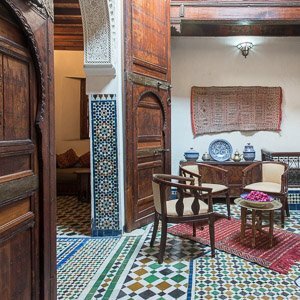 From the friendly welcome to stunning facilities and outstanding personal services, we were happy to call Aliya home while in the Cultural Triangle. 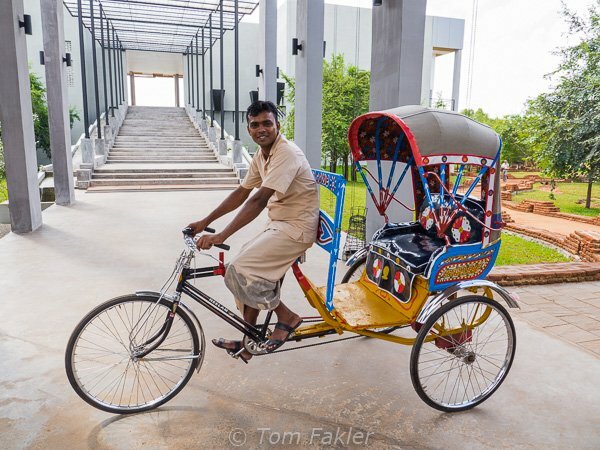 Trishaws from India are used to transport bags to/from guest rooms (with a little cart added on back). 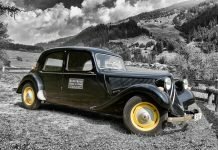 The three-wheelers also make popular photo props. 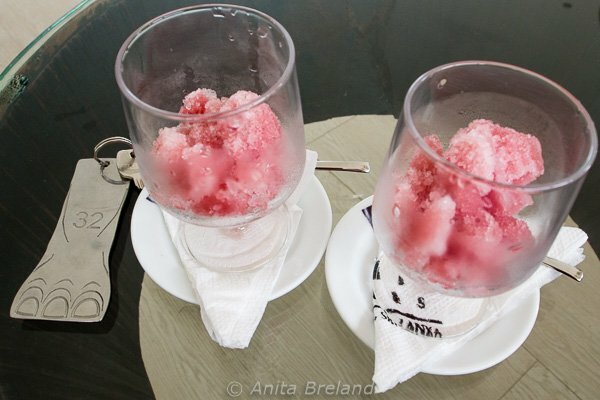 Upon arrival at Aliya Resort, we were greeted with a glass of melon sorbet. In the heat of the plains, it was especially welcome! 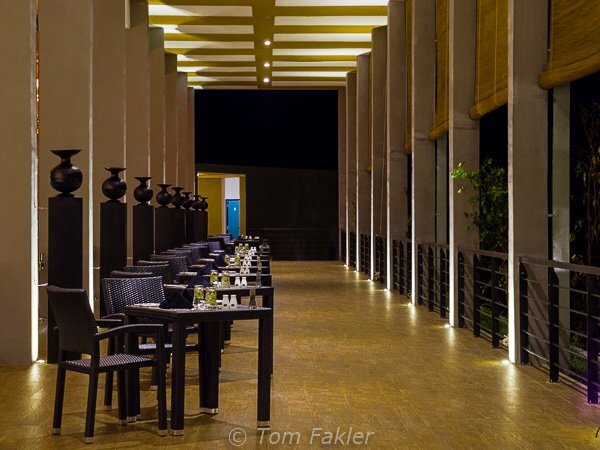 The resort’s service buildings are constructed in keeping with village architecture, while the central hall, dining areas and pool are starkly modern. 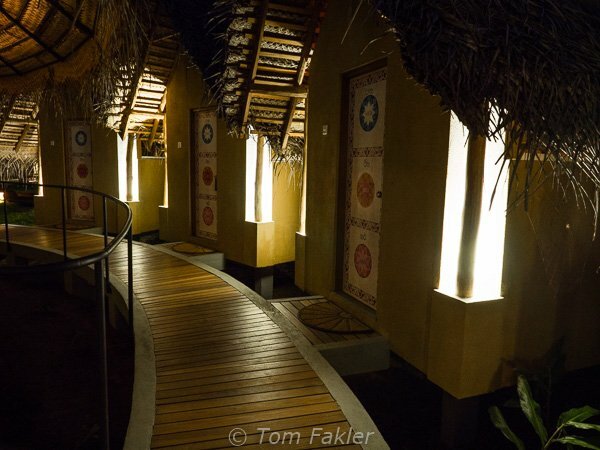 The spa, headed by a trained Ayurvedic practitioner, is accessed via walled pathways that crisscross the property. The low walls are modeled after those found in the royal gardens beneath Sigiriya rock. Spa treatments at Aliya are offered in Individual cabins. Everywhere, the harmonious colors of nature are invoked in the resort’s decor. 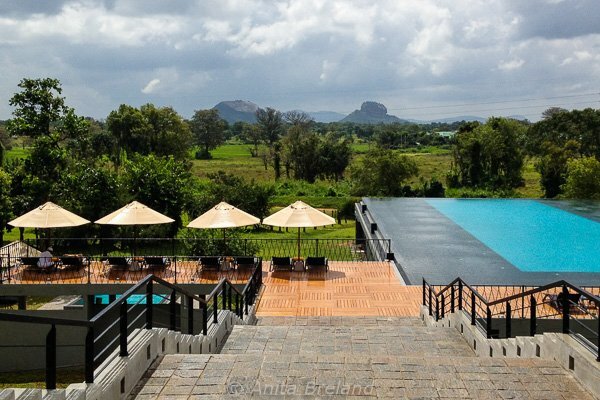 An infinity pool is the centerpiece of the resort, with Sigiriya always present in the distance. The hotel offers both elegantly appointed suites and luxurious tented rooms (‘glamping’, anyone? ), the latter located along well-lit jungle paths. 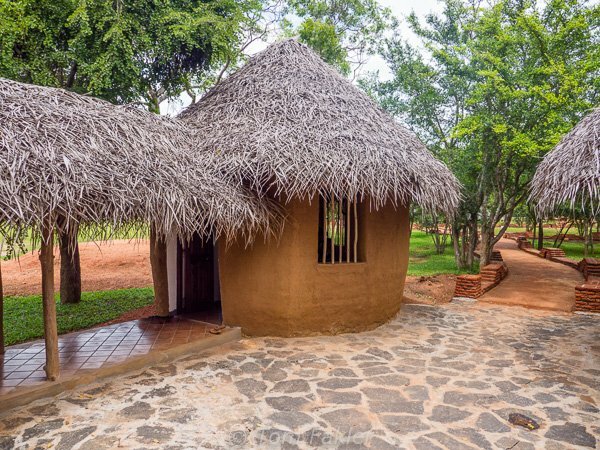 Resort Manager Sujeeva Basnayake says the aim is to provide guests with upscale amenities, along with a cultural experience that respects and reflects the traditions of villages in this part of the country. Rooms are spacious, simple in design and very comfortably furnished. We slept very well here! 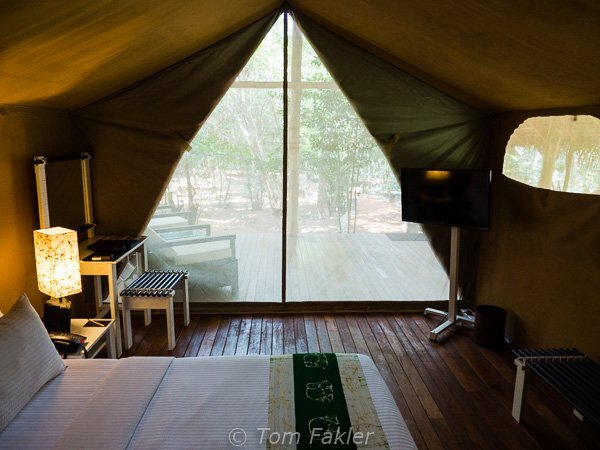 The popular tented rooms offer privacy, surrounded by nature, as well as all the mod cons such as television, air conditioning and full bath. Area villagers live in harmony with nature, and until tourist facilities came on the scene, wild elephants. Sri Lanka’s largest concentration of wild elephants roam the sanctuary of Minneriya National Park, not far from Aliya Resort. 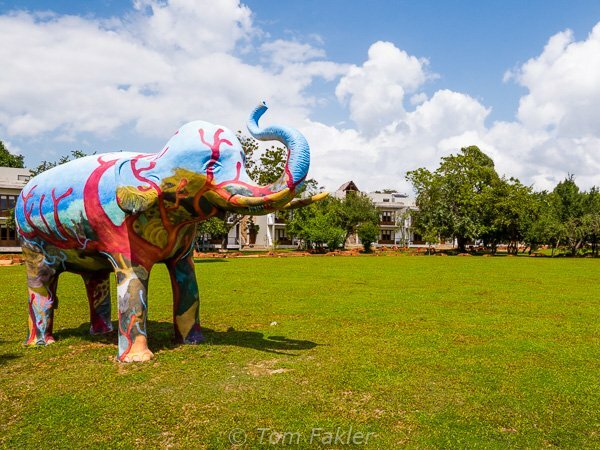 This brightly colored tusker delights youthful guests at the resort. 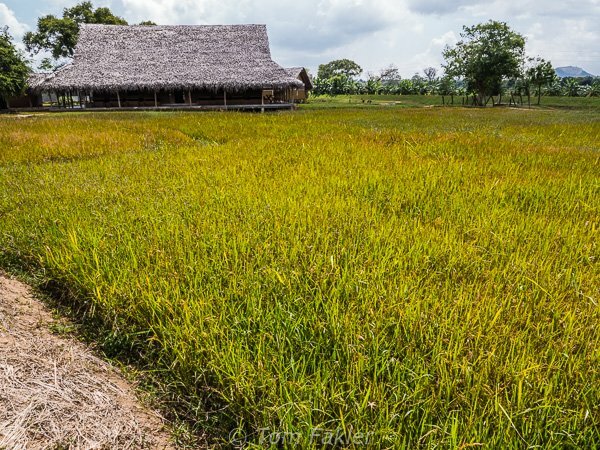 Aliya Resort’s Paddy Museum perches on the edge of a paddy field cultivated by a local farmer. 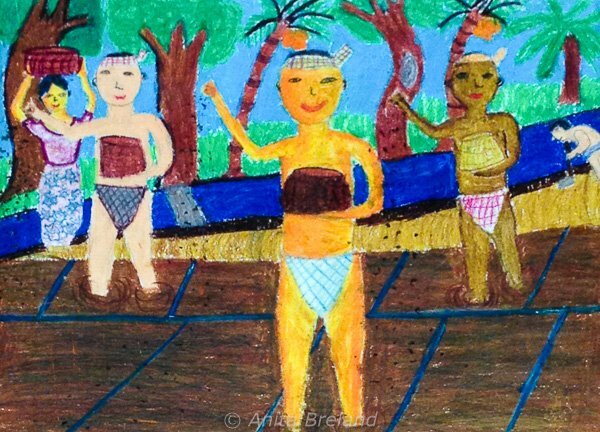 The museum’s veranda walls are decorated with art by village children, depicting the lifestyle of their families. A number of the service buildings at Aliya are constructed in the local manner of village structures. This one is outfitted for traditional cooking, from storage to implements and a wood-burning fire. Aliya’s executive chef, knowing of our interest in trying local foods, pulled out all the stops, and asked a housewife from a nearby village to prepare a meal showcasing local produce and traditional cooking methods. 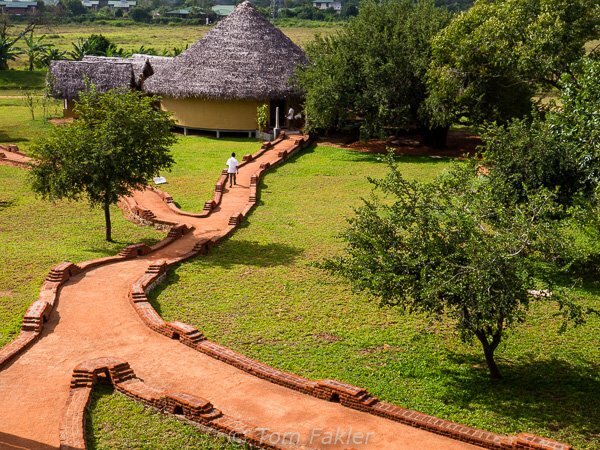 Our meal was prepared in the resort’s thatched-roof wattle-and-daub kitchen, and we ate on the veranda of the Paddy Museum. 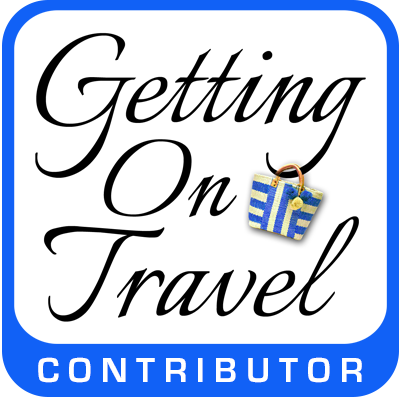 Other concierge services available to guests include elephant safaris in Mineriya National Park, excursions to Sigiriya (Lion Rock) and the Dambulla cave temples. An early start for these sites is advisable, and the Aliya kitchen was happy to provide us with yummy breakfast packets. 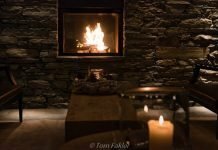 Our stay at Aliya Resort turned out to be one of the most gracious of our journey through Sri Lanka! 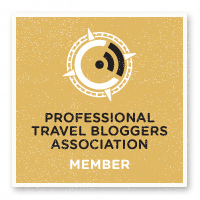 Our thanks to Sri Lanka Tourism for supporting our travels, and to Aliya Resort & Spa for an extraordinary stay in the heart of the Cultural Triangle!